Today is National Voter Registration Day and The Arizona Coalition to End Sexual and Domestic Violence is joining non-profits from across the state to encourage Arizonans to register to vote for the first time or update voter registration information so it is current for the 2016 election. Nonprofits play a vital role in voter engagement and now it’s more important than ever to engage individuals in the voting process to make Arizona’s future even brighter. Often the populations nonprofits work with are underrepresented when it comes to voter participation, which is why it’s important to encourage those to use their voice and exercise their right to vote. This year more than 1,200 nonprofits from all across the country will be joining this effort to encourage and empower individuals to vote. Right now the 2016 Election may seem far away but it’s going to be upon us fairly quick so here is some important information you need to know about the upcoming election and how you can engage others in the election process. Voting can be done easily and from home if you sign up for the Permanent Early Voting List (PEVL). By signing up for the PEVL, it ensures that your ballot will be mailed to you and you will be alerted of all National, State, and Local elections. To sign up for the PEVL you can do that through Service Arizona when you register to vote. If you are already registered to vote but are not signed up for PEVL you need to contact the County Recorder in the county you are currently registered to vote in to be signed up. Next year is a big election year Nationally and here in Arizona. In addition to it being a Presidential election candidates vying for State Senate and the House of Representatives will also be on the ballot. You must be registered to vote by August 1st to vote in the Primary. You must be registered to vote by October 10th to vote in the Primary. Registered Independents can vote in the Primary Election. If you are a registered Independent who votes by mail and you do not receive notification from the County on requesting a party ballot for the primary, contact the County Recorder in the county you are registered to vote in. To ensure you do not miss any of these dates and are eligible to vote the simplest thing to do is to register to vote today! 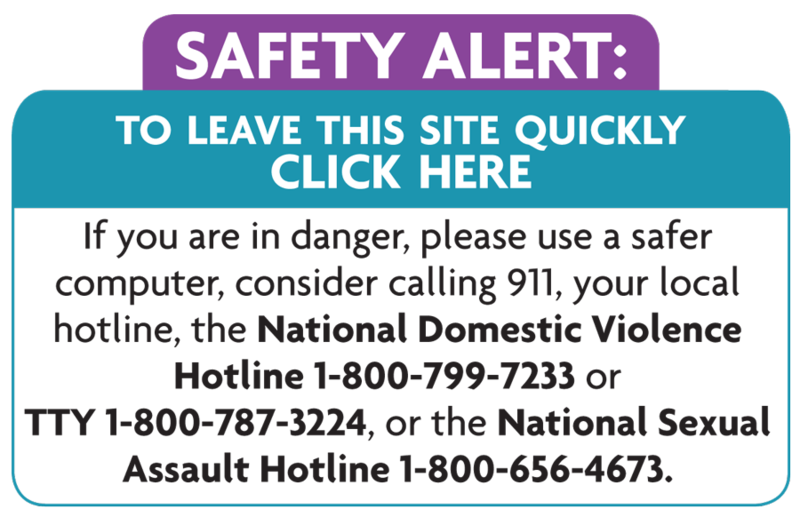 If you are a survivor of sexual and/or domestic violence and have safety concerns around registering to vote we have put together a simple fact sheet in English and Spanish on how to safely participate in the voting process. It is recommended that you also speak to a legal advocate to discuss a safety plan and how to safely register to vote. If you are a nonprofit there are several ways you can help make a difference Today. The first is that if you work with a vulnerable population, support them by informing them about the importance of voting and demonstrate how to register to vote as described in this letter. You can also talk to coworkers, volunteers and others associated with your organization and encourage them to register to vote too. If you have questions, please contact the ACESDV Public Policy Department at 602-279-2900. 31 Facts for Domestic Violence Awareness Month! October is Domestic Violence Awareness Month and we hope you’ll join us this year as we bring awareness to domestic violence. Join us as we share our 31 Facts for 31 Days of Domestic Violence Awareness Month on Facebook and Twitter, or post them directly yourself! Click here to follow along during Domestic Violence Awareness Month.